Boy things have sure been busy these past couple of months. 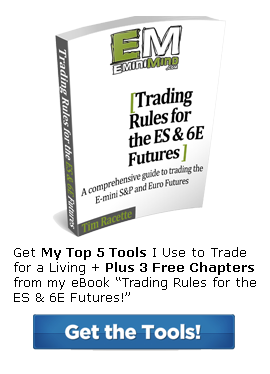 This Friday I’ll be delivering a webinar all about how to become a winning E-mini futures trader. There’s a reason the world’s best traders end up trading the E-mini Futures. Their efficient pricing structure, ease of entry and exit, and technical nature make them very appealing to traders, but there are a number of things that make them challenging at times. This this webinar will walk you through his process for trading the E-mini futures and share how you too can trade like the big dogs. As I said at the top of the post things have been busy. In the midst of it all, I’m getting married this summer and wedding planning is in full swing. Thanks to my lovely fiance, a lot of the details are being taken care of, but summer as you all know, is typically a time when I scale back my trading a touch and enjoy the outdoors racing my mountain bike. Along with bike racing, new projects are always on the horizon. I’ve been working with a couple friends on their businesses along with helping out with some website stuff. I’m making a point to get back to my regularly blog post routine and continue with the weekly market analysis videos that are archived along with the webinars in the VIP Members Area. A big part of trading (and life) is experiencing things first hand. Just as a parent can tell their kids all the reasons they shouldn’t do something, they don’t fully grasp the concept until they try it out for themselves (and usually fall flat n their face). There’s just something about logging the experience first hand, into your own memory that triggers that emotional and “light bulb” moment in the brain. 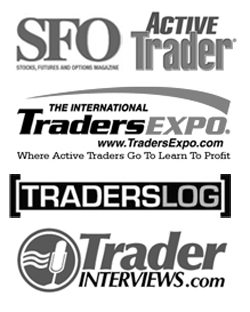 Trading well, and becoming consistently profitable is a result of experience and routine practice. Your intuition as a trader WILL come, you just have to stick with it. * Even if you can’t make the live events, still go ahead and register as I will be sending out the recording following the presentation.